Key Buddhist topics to help us live with an open heart and a clear mind (how to meditate, our potential for Buddha-hood, faith based on logic and experience, death and reincarnation, karma and compassion) Includes hands-on practice in sitting comfortably, setting up an altar and a developing a daily practice. Nyung-nay (or “fasting retreat” in English) is a Vajrayana practice from the kriya (“action”) class of tantra. It is a powerful practice to develop compassion and bodhichitta – the mind that strives for enlightenment for the benefit of all beings. It is also a quick and effective method to purify negativities and collect merit. Meditators of the past have been known to purify such diseases as leprosy through this practice. One Nyung-nay requires being resident at Vajrayana for three nights, in order to incorporate two full practice days. Check-in is on day 1, days 2 & 3 are the practice days. In each session we practice the sadhana (“method of accomplishment”) of Chenrezig, the Buddha symbolising compassion. The sadhana involves meditating on bodhichitta (the aspiration to attain enlightenment in order to help all beings), visualizing Chenrezig, reciting prayers and mantras, and performing prostrations. Each session lasts approximately 3 hours. What to expect during a Nyung Nay retreat? During the Nyung Nay retreat, we practice the sadhana (“method of accomplishment”) of Chenrezig, the Buddha symbolizing compassion. The sadhana involves meditating on bodhicitta (the aspiration to attain enlightenment in order to help all beings), visualizing Chenrezig, reciting prayers and mantras, and performing prostrations. One Nyung Nay retreat consists of 2 full days and 1 morning of retreat, for a total of 7 practice sessions spread over this time. Each session lasts approximately 3 hours. One Nyung Nay retreat requires being resident locally for 3 nights, in order to incorporate 2 full practice days and 1 morning. Day 1 involves checking in and getting prepared for Days 2–4. Day 2 (full days) to Day 4 (morning) are practice times. On the first full day of the Nyung Nay, we take the 8 Mahayana Precepts: avoidance of killing, stealing, sexual activity, telling lies, taking intoxicants, eating more than one meal, singing / dancing / playing music, wearing jewelry, and using high seats or beds. Three sessions of the sadhana are practiced on the first day. Each session is approximately 3 hours. On the second day of the Nyung Nay, we take the 8 Mahayana Precepts as above, with the additional vows of not eating, drinking or speaking until after sunrise the next day. Three sessions of the sadhana are practiced on this day. Although we vow to keep silence, we continue to recite the prayers and mantras of the sadhana. If communication between participants is necessary, it must be done through writing notes. The second day is the most difficult part of the retreat. We experience hunger, thirst, tiredness and pain from doing prostrations. Some people feel ill from the fasting. However, if we understand the purpose of the practice, we will not mind the discomfort. By experiencing hardships in our Dharma practice, we are able to purify a great deal of our negative karma accumulated over countless previous lives. We can also build up positive habits and states of mind to counteract the negative ones. The Buddha advised the “middle way” — not too soft, not too tough. During Nyung Nays we do experience discomfort, but it is bearable and not too tough. By experiencing this discomfort, we have a better understanding of the suffering experienced by animals, hungry ghosts, and some humans, and thus develop greater compassion for sentient beings, and greater renunciation of samsara — ​How Amazing! We hope to see you for this incredible opportunity to purify and generate merit! Nyung-nay retreat and its benefits, from the FPMT’s Chokyi Gyaltsen Center, Malaysia. You should be a Buddhist, having formally taken refuge in the Buddha, Dharma and Sangha. Those who have not formally taken refuge or who have not participated in Nyung-nay Retreat before will need to have an interview with the Spiritual Programme Coordinator and/or the retreat leader. You should have taken the Great Thousand-armed Chenrezig Initiation, which will require taking the Bodhisattva Vows; if you haven’t you should at least have received a complete initiation (wang) from one of the three higher classes of tantra. 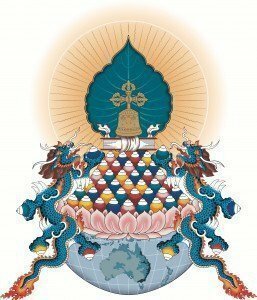 If you do not have initiation please contact spc@vajrayana.com.au to discuss your suitability for this retreat. A life overflowing with compassion. It sounds wonderful in theory, but how do we actually do it? 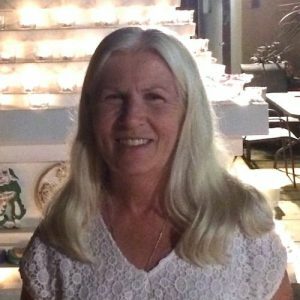 Venerable Chodron shares practical methods for living with compassion drawn from Buddhism and psychology, based on her book co-written with psychotherapist Dr. Russell Kolts. Lama Zopa Rinpoche says there is no better practice than purification. During this residential retreat you will learn how to purify negative karma with the powerful practice of Vajrasattva in the context of the Four Opponent Powers. You will be led through a series of meditations and practices which encourage you to release anxiety over past regrettable actions and help you affirm your positive aspirations. These simple practices of prayer, meditation and mantra recitation are an extremely effective way of developing a more relaxed, peaceful and happier approach to life. Dates & time: Friday 4th October 6pm to Monday 7th October 6pm. This is a non residential retreat. Schedule will be sent the week before the retreat commences. During this retreat, we will explore in theory and practice a range of methods for developing meditative quiescence, or shamatha. We will begin with the practice of mindfulness of the breathing as taught by the Buddha, which is an especially effective approach to soothing the body and calming the discursive mind. 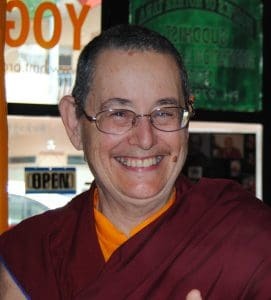 We will then explore an approach to shamatha that is particularly pertinent for Dzogchen practice, called “settling the mind in its natural state,” as taught by the nineteenth-century Dzogchen master Lerab Lingpa in his commentary to the Heart Essence of Vimalamitra. Finally, we will engage in the practice of “shamatha without signs” as taught by Padmasambhava in his classic terma Natural Liberation. Although this subtle practice is taught explicitly as a means of achieving shamatha, Padmasambhava comments that it may even result in a realization of rigpa, or pristine awareness. The achievement of shamatha is widely regarded in the Buddhist tradition as an indispensable foundation for the cultivation of contemplative insight (vipashyana), and this retreat is designed to provide students with a sufficient theoretical understanding and a basis in experience to enable them to proceed effectively toward this extraordinary state of mental and physical balance. Suitable for beginners and experienced meditators alike. Alan Wallace is a prominent voice in the emerging discussion between contemporary Buddhist thinkers and scientists who question the materialist presumptions of their 20th-century paradigms. He left his college studies in 1971 and moved to Dharamsala, India to study Tibetan Buddhism, medicine and language. He was ordained by H.H. the Dalai Lama, and over fourteen years as a monk he studied with and translated for several of the generation’s greatest lamas. In 1984 he resumed his Western education at Amherst College where he studied physics and the philosophy of science. He then applied that background to his PhD research at Stanford on the interface between Buddhism and Western science and philosophy. Since 1987 he has been a frequent translator and contributor to meetings between the Dalai Lama and prominent scientists, and he has written and translated more than 40 books. 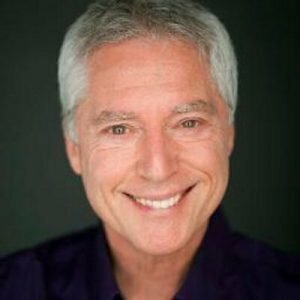 Along with his scholarly work, Alan is regarded as one of the West’s pre-eminent meditation teachers and retreat guides. 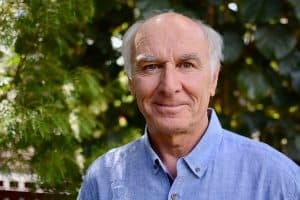 He is the founder and director of the Santa Barbara Institute for Conscious Studies and is the motivating force behind the develop of the Centre for Contemplative Research in Tuscany, Italy. Members of Vajrayana Institute or The Contemplary will receive 10% off ticket prices. Email office@vajrayana.com.au with member details to receive discount code. Catering is not provided. Participants may wish to bring their own food, alternatively, there are a number of other cafes and restaurants close by providing easy access to food and drinks. This will be Alan Wallace’s only retreat in Australia in 2019. Interstate and international participants may find affordable and nearby accommodation through Airbnb, or in local hotels and apartments. Arrange your accomodation early as this retreat is close to Christmas which brings an influx of interstate visitors to Sydney at this time. Geshe-la was born at Panchamari, MP, India. At the age of nine, he entered the Sera Monastic Institute and took the vows of monk ordination with His Holiness the Dalai Lama. 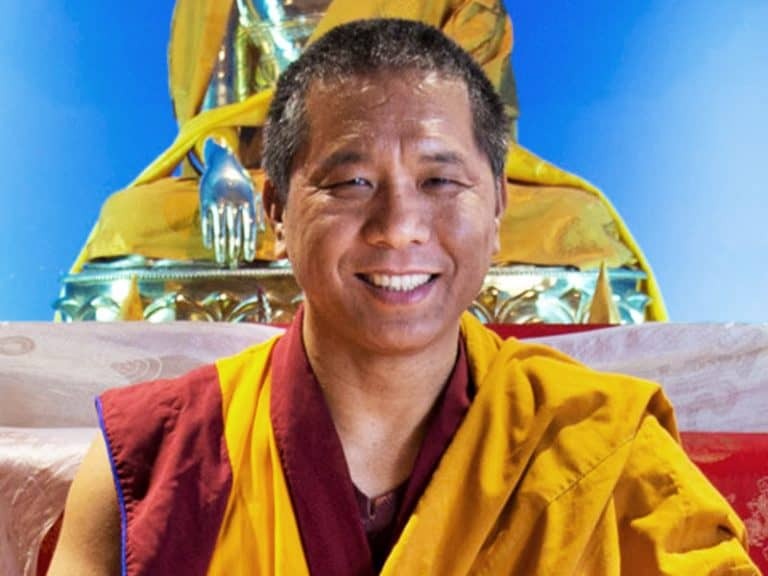 Geshe-la completed his studies and attained his Geshe degree at the highest level of a Lharampa, the equivalent of a PhD in Buddhist Philosophy. He taught as a lecturer in the Gelug tradition at the Central Institute of Higher Tibetan Studies, Sarnath. 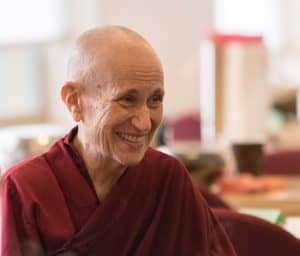 Since 2003, Geshe-la has been the main resident teacher at VI.